MELECHESH (hebräisch für "König des Feuers"), die Black Metal-Band aus Jerusalem (und Deutschland! ), bringen bald ihr bereits sechstes Studioablum mit dem Titel "Enki" (sumerischer Gott der Weisheit und Herrscher des Abzu) auf den Markt. Im Zuge dessen stand uns Bassist und Backingvocalist Scorpios für ein Interview zur Verfügung. Metalmieze.de: By releasing your first demo "As Jerusalem Burns", you got into "the hell of a trouble". What was it exactly about? Scorpios: That was long before I joined the band, so I can't give any new details on that which havent already been explained. Long story short, the band was accused of being a sort of Satanic Cult by the Israeli govt. and caused problems with the members. Metalmieze.de: Did that happen ever again or are you guys taking more care about your works since then? Scorpios: No, now we just get accused of being Muslim Extremists for our photos where our faces are covered (laughter). It is not about being careful and no need to make comprimises only to cater to people unable to educate themselves or speak about something they know nothing about. Metalmieze.de: You recorded your CDs in the Netherlands, Sweden and Germany so far. Enki was recorded in Greece. Why aren't you working in Israel? Scorpios: No one in the band is Israeli, not that it matters as to where we record. Athens was Ashmedi's decision and when we looked at what was possible at the time, it seemed like the best choice. We wanted to record in a Meditarean atmosphere, also the album was mixed and mastered in Black Lounge Studios, Sweden by Jonas Kjellgren. Most the acoustic track "Doorways to Irkala" was actually recorded at Oneironaut Studios, at my house in Germany. Metalmieze.de: What is the Metal scene about in the "holy land"? Is there any kind of trouble by religious institutions/persons or even the law? Scorpios: I really don't know from any personal experience, as my first time to go there will be in March as we have a show booked then in Tel Aviv. I don't think there are any problems at all for metal bands to play there or else I am sure I would have already heard about it's not like they never have shows there. 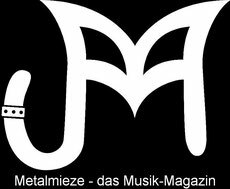 Metalmieze.de: You have a huge mediterean influence in your music. There aren't many bands who pick this up. What does that mean for you? Scorpios: The lyrics are covering a lot of history and mythology that took place in the Fertile Crescent thousands of years ago, so it definitely is fitting to use some of these ryhthms, scales and song structures to complete the atmosphere of the music. Metalmieze.de: It that a reason for your success or do you think it is harder to get the big break through? 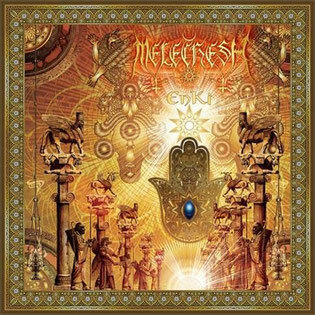 Scorpios: I think it played large part in getting Melechesh to where it is today, as it was the first band in extreme metal to utilize these influences as a main element. It was a pioneering and original idea, so that indeed can aide in the success of things. Metalmieze.de: Now your sixth album is about to be released. Tell us something about the record and the works with Max Cavalera, Sakis Tolis and Rob Caggiano. Scorpios: All were great musicians to have worked on an album with and whom I grew up listening to bands they played in, so it was also an honor to do. It all came about pretty natural and nothing was forced for the sake of using names to glorify the record, publicity etc. Metalmieze.de: Next goal for the band? Scorpios: Right now the current goal is preparing new material for a live set list as 2015 looks to be a busy year with touring and festivals booked. So main focus for now is getting the material tight to perform live.